No signing on fee, no salary, you get paid £500,000 per PL goal. That would weed out the rubbish strikers who take a stroll around the park for mega bucks. We cannot rely on Benteke, Wickham, Sorloth or Ayew. Wickham hasn’t played for two years and can’t even train properly without incurring further injuries. Even if Benteke gets fit he doesn’t suit the way we play under Hodgson. He is not mobile, doesn’t run in behind defences and we only hit a couple of decent high crosses per game for him to attack even when he’s fit. Sorloth and Ayew are not the answer as the many threads have pointed out. For me, any money we do have has to go on a striker. So far we have been linked with Solanke(loan), Antonio (not an out and out striker) and a couple of foreign players I haven’t heard of. I have my fingers crossed that we can turn up some unknown that will make the difference. Doubt we're going to spend much, couple of loans perhaps. Get rid of Ayew, try and bring in RLC and Welbeck on loan. You would only end up with rubbish strikers. As no agent would allow a player to sign on those terms. Why would anyone decent sign on those terms? Unlikely to play again this season due to a broken ankle. Typical signing for us then. Might get him a bit cheaper, say 27M. Sorloth got a nice goal for the U23s and by all accounts looked good out there. Problem is this is only about 1000000 miles from the Prem. There is some potential buried deep in this guy, but he must go out on loan to discover if it is really there. The problem with our approach play at the minute is Zaha and Andros want to come short to get fed the ball, and tend to drift wide as they are basically both wingers. Tends to mean there is no one in the middle. If we were allowed to play 12 or 13 players this would be great because we could actually have someone to cross it to when Zaha or Townsend actually carve an opening. 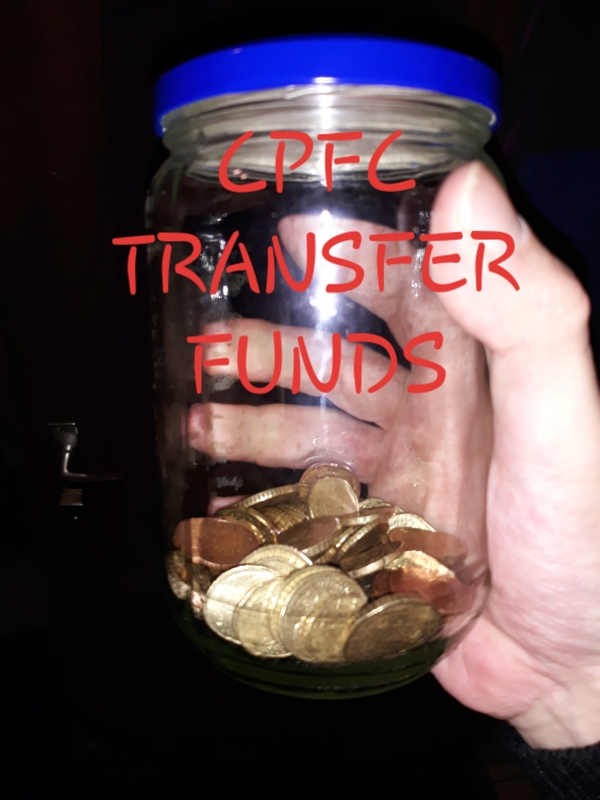 Given the way things are going if we dont get some results soon the need to spend big for a proper target man who can score goals will be urgent at the START of the window, let alone with 15 minutes left on the last day, or the "Parish twilight zone" as its known. At the end of the day, clubs can have a plethora of targets but only get a fraction 'over the line' for a variety of reasons.The whole process can be convoluted,protracted and end in abject despair and disappointment. But I agree with your assertion about the urgent need for an out-and-out striker. It certainly isn't easy. West Ham were happy to sell us Tomkins and Kouyate but one of their goal scorers would be a different story. We all know how hard it is to unearth a goal scoring nugget but lets face reality, our performance in the transfer market in terms of strikers during Parish's reign has been quite poor on the whole. If you dont score goals, you go down, and it doesn't matter how tight you can keep it at the other end generally. When we got relegated in the 1990s we had issues getting the ball into the onion bag but were actually solid defensively - sounds familiar. We scored 45 goals in 38 games last year, and we all know how that season started. we have scored 8 in 13 this year. Its not easy to get goal scorers, but it is necessary. I follow Serie A a little bit: Genoa signed a Polish guy called Kryzstof Piatek for half what we paid for Sorloth and he has bagged 10 in 13. Its hard but not impossible and our situation is borderline desperate.